Why would I need self storage in St Charles, IL? There are a variety of reasons why you might need self-storage in St Charles, IL. How much is a storage unit in St Charles, IL? The cheapest storage unit in St Charles, IL is $19.00 per month. What size storage units do you have available in St Charles, IL? In St Charles, IL we have sizes that range from 5'x5' to 10'x30' to suit your storage needs. How much is it for a 5'x5' storage unit in St Charles, IL? The cheapest 5'x5' storage unit in St Charles, IL is $19.00 per month. St. Charles is a mid-size, growing city in northeastern Illinois, located about 40 miles from downtown Chicago. 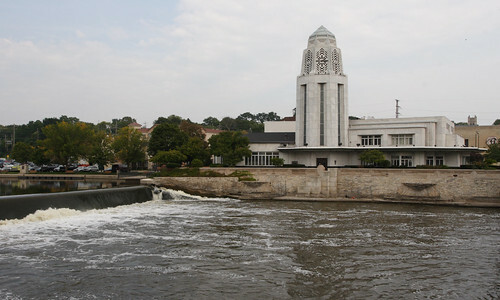 The community is part of a tri-city area that includes Batavia and Geneva. It's home to a thriving, diverse community as well as an active arts and culture scene and a growing economy. Originally, the area that's now known as St. Charles was a summer camp destination for the Potawatomi Native American tribe. The creeks and varied nature of the land were a huge benefit for the tribespeople as well as the settlers who came later. A bridge and dam were built across the Fox River by 1836, making the land even more easily accessible. At this time, the town of St. Charles began to grow. Regular railroad service started coming to the city by 1871 when the Chicago, Saint Paul and Kansas City Railroad built a depot in St. Charles. This helped bring significant growth to the still-small city, prompting the arrival of many new residents and businesses. St. Charles was a spot of great significance on the Underground Railroad, housing several safe stations within local homes. The downtown St. Charles area was named among the top 10 destinations in the region for its wide array of shopping, dining and entertainment as well as its active arts scene and lively night life. Aside from the downtown district, St. Charles as a whole has plenty to offer locals. You can explore local history at the St. Charles Heritage Center as well as at historical sites like the Arcada Theatre and Hotel Baker. Or you can take advantage of the many shops and boutiques throughout St. Charles, which have earned the city recognition for their unique variety. Special events in St. Charles make it easy to get to know your fellow locals. During the summer, visitors arrive for the Kane County Fair and the annual Dragon Boat Festival. The Kane County Flea Market, which is full of interesting wares and vintage items, takes place the first Sunday and preceding Saturday of each month. During October, you can celebrate the fall festivities at the Scarecrow Festival, hosted by Lincoln Park in the downtown district. Community Unit School District 303 operates the public schools of St. Charles. There are a number of private schools in the area, ranging from early childhood to secondary school. The nearest post-secondary institution is Elgin Community College, which is part of the larger Community College District 509. Utilities: The city of St. Charles manages all its own utilities, including electricity, water and gas. All of your billing will be processed by the city, which offers online payment options for your convenience. Garbage and Recycling: Advanced Disposal facilitates the regular collection of trash, recyclables and yard waste. Transportation: St. Charles is connected to surrounding communities via a network of public transit options, including the Pace Bus and the Metra rail system. The housing market in St. Charles features a wide range of price points, from modest, affordable townhomes to large single-family estates that approach the million-dollar mark. The benefit of this large market is that you'll have plenty of options, so you'll be able to find something that fits your budget and lifestyle. The median home price is slightly above the average for the greater Chicago metro area. Our lowest priced units in St Charles, IL average $21.00 per month. 110 people have reserved units in St Charles, IL in the past 30 days. There are 3 locations within St Charles, IL's city limits.